Some restaurants captivate me. I get so excited by their food that I go into a veritable feeding frenzy and return over and over, obsessed by what the chef is doing and by his artistic skills in the kitchen. 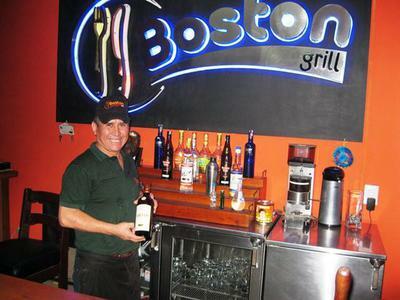 Thus said, I have gone overboard with Boston Grill, owned by Chef Franz Rosales. 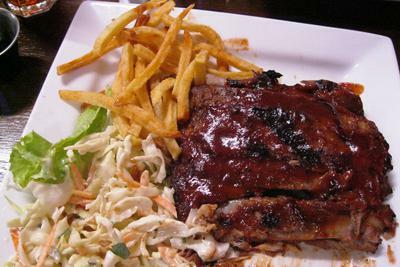 I have tried the ribs many times, they are the best in Bolivia. The man knows to how to parboil the fat off of them (a hint for Home Chefs) before he smokes them in his wood fired, special ovens that he imported from the states. With a touch of his house-made, special barbecue sauce the flavor is a delight for the gods and you can eat them with a fork. I have sampled my wife's chicken order (the Zen Master eats no red meat) and I found it succulent and filled with just the right amount of smoky, juicy flavor. But here is what pushed me over the edge: his Hawaian Beef Steak. Made from the most beautifully marbled loin, marinated for days in his own special, secret, (unfortunately for Chef Trent!) soy marinade, he then puts it into his special ovens to roast until it is charred perfectly on the outside and cooked to your specification on the inside. (I prefer mine medium rare.) It will literally make your toes curl when you bite into the crunchy masterpiece. Served with fries and the "real deal" southern USA style cole slaw, a perfect score is in order. We have become good friends with him and his lovely Claudia, because we like each other, and because Chef Trent and wife have become his two best customers! I am already planning my order for tonight, which is Friday, March 28th, and anybody who wants to join us please come by. We can have some fun and some great food...a promise from Chef Trent! 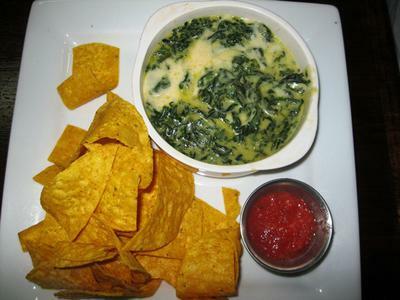 Note: Try the key lime pie, the spinach dip,the guacamole and chips, the grilled pacu and the Texas Chili. All exquisite! Chef Trent Wauson owns the La Luna Verde Resto Bar and La Posada del Sol boutique hotel in Samaipata, Bolivia. 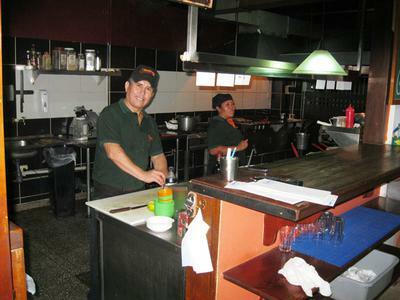 He contributes his favorite Bolivian recipes, restaurant reviews and food commentary on www.BoliviaBella.com. Visit Chef Trent's Food Page on BoliviaBella.com for more. Bravo Boston Grill! What a Santa Cruz treasure! Thanks, Trent! I do that too. When I find a place where the food is good, I go over and over again. But it has to have the proper combination of good food and good service. Even if a place has wonderful food, if their service is awful I won't go back. Sounds like you've found a winner.